BBC Radio 2 presenter Claudia Winkleman and her Strictly Come Dancing co-presenter Tess Daly have pledged to practice what they preach and 'keep dancing’ in an epic challenge that will see them floss, dab and salsa to the beat for the longest ever Danceathon in Red Nose Day history. Kicking off on Monday 11 March through to Tuesday 12 March, the stars will put their dancing skills to the test as Radio 2 turns into a giant jukebox, playing the very best floor fillers from the 60s, 70s and 80s right up to the present day. 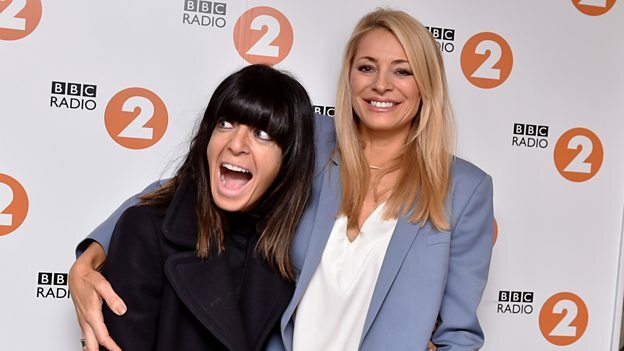 Claudia Winkleman, who hosted the first ever Comic Relief six-hour Danceathon in 2015, says: “I’m so excited to be taking on this epic Danceathon challenge with Tess live at Radio 2 in the legendary Wogan House. I know it’s going to be hilarious to watch because we’re pretty bad dancers - I’m not very good at standing, let alone dancing. Thankfully we’ll have each other and we’re going to push through to raise as much money as we can for Red Nose Day.